The Venetian view painting by Francesco Guardi capturing the Rialto Bridge and the Grand Canal is expected to be sold for £25m this July during Christie’s Old Master’s Evening Sale in London. 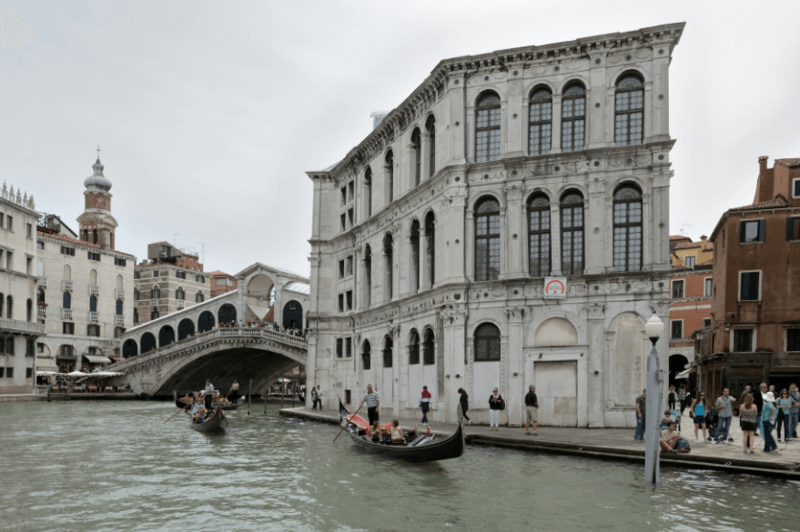 The Rialto Bridge with the Palazzo dei Camerlenghi catches the setting that would have welcomed tourists entering Venice from the south. This majestic but dramatic painting is merely one of a pair of views Guardi captured of the dynamic Venetian scenery. Its companion approached the location from the north and has been sold at Sotheby’s to an anonymous bidder for a record of £26.7m back in 2011. Both paintings were first acquired by a young English tourist and his family until they sold it to Edward Cecil Guinness, chief executive and chairman of the brewing company for £3,850 in 1891. Thus far the piece has been handed down through generations of the Guinness family, leaving it to be sold for only the second time since it was painted in the mid-1760’s. The painting has been exhibited at several well-established museums, such as the National Gallery in London and the National Gallery of Art in Washington. However, before being auctioned in London this summer, the masterpiece will be shown in New York, the Venice Biennale and Hong Kong. Francesco Guardi, born in Venice 1712, is known to be one of the last practitioners of the classic Venetian school of painting. His style is called pittura di tocco which is characterized by small dotting and spirited brush-strokes. Centuries later, most important French Impressionists like Joseph Mallord William and Claude Monet have highly praised Guardi’s technique and got inspired by the artist’s skillful method of creating an atmospheric luminosity in his paintings. According to Henry Pettifer, head of the Old Master’s paintings at Christie’s, this grandly scaled canvas is “One of the greatest 18th-century view paintings and one of the greatest pictures of Guardi ever painted”.